We are finally at a close to this year-long culinary journey for The Book Club Cookbook Cooking Crew! For this past year, a different blogger each month chose a book for other bloggers to create and post a recipe inspired by the selected book. For our final month, our event hostess, Camilla over at Culinary Adventures with Camilla chose Corelli's Mandolin by Louis de Bernières. Since starting and finishing graduate school, I found myself with little energy and time to read which is pretty unfortunate because reading has always been one of my favorite things to do. So I was thrilled when I was invited to participate in this event. Even though reading the books were optional, I tried to read as many of the books that I could and am thankful to have been introduced to some great novels and bloggers! This final month, I decided to try my hand at making spanakopita as suggested by The Book Club Cookbook. I adore spanakopita and have always wanted to try making it. Well. It didn't go as well as I'd hoped. Combine the lack of patience with an unsteady hand, I made a complete mess of the phyllo dough. I made five individual pieces before giving up completely and deciding to make the spanakopita into a casserole. The five pieces that I made actually came out out of the oven delicious and buttery, but my impatience won this battle. 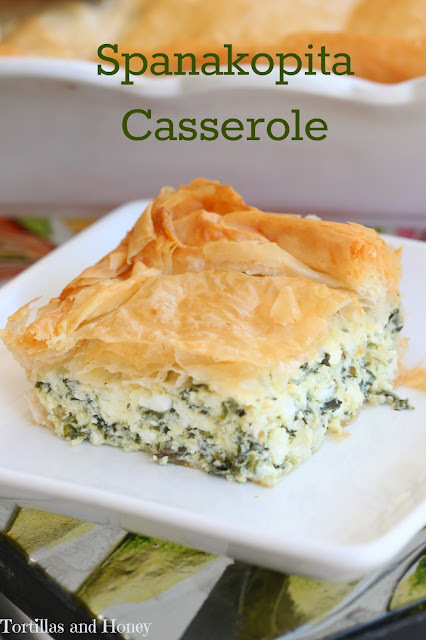 To make this recipe, I placed four phyllo sheets on the bottom and six phyllo sheets on the top of the casserole and it worked beautifully. Because of the amount of filling, the casserole came out much more like a quiche because of the eggs. If you don't have the patience or the hand for making spanakopita, this is your next best option! Additionally, you can totally halve this recipe and make a 9x9 dish. I've also made this without the phyllo dough and topped with gluten-free panko and drizzled with melted butter (this alternative tastes more like a quiche). Also, please check out the wonderful bloggers below who are participating in The Book Club Cook Book Cooking Crew and see what they have created this month. You can also follow this project on social media with the hashtag #thebookclubcookbookCC. 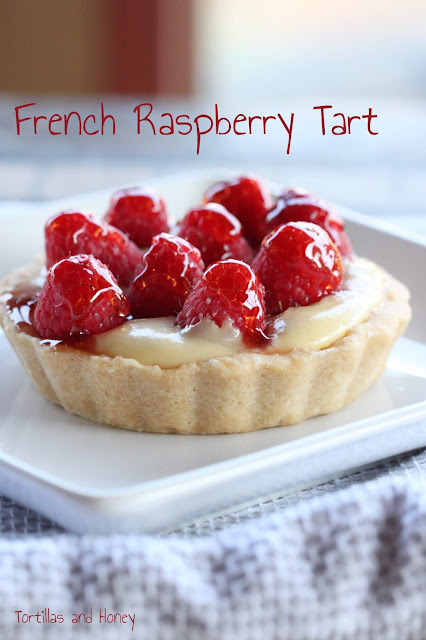 We'll be posting all of our creations to our Pinterest board. Here's the team, in alphabetical order, with links to their homepages. Keep a bowl of 4 Tbs. melted butter handy. While making the spanakopita casserole, always keep the phyllo covered with plastic wrap or damp dishcloth to prevent drying. Place one sheet of phyllo dough on the bottom of a 9x13 dish and brush with melted butter. Repeat this step with three additional phyllo dough sheets, for a total of 4 sheets. The phyllo sheets may overlap the top of the dish, that's okay. Pour the spinach mixture on top of the phyllo mixture. Then repeat the previous process of layering phyllo dough sheets and butter with 6 phyllo dough sheets. Roll the phyllo dough that's overhanging to make a "crust." Bake 35-45 minutes, until puffy and golden. Serve warm. Serves 8-12, depending on size. Your spinach pie looks delicious. I'm going to miss our monthly posts. Renee, the casserole idea is genius. Thanks for joining me all year long. I am going to miss this project.